A desperate young man has been nabbed in the act after stealing at a hospital. 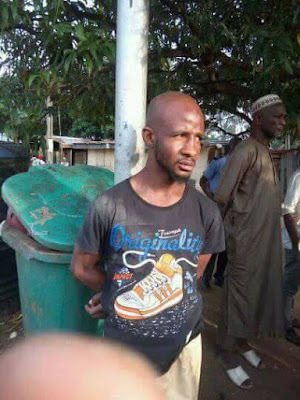 The suspected robber who thought he could outsmart patients and authorities at the hospital in Kaduna state, was apprehended during the failed operation. Reports show that he pretended he was sick and gained access into the men's ward at the hospital. He decided to strike after patients at the ward fell asleep and stole phones and other gadgets he could lay his hands on. 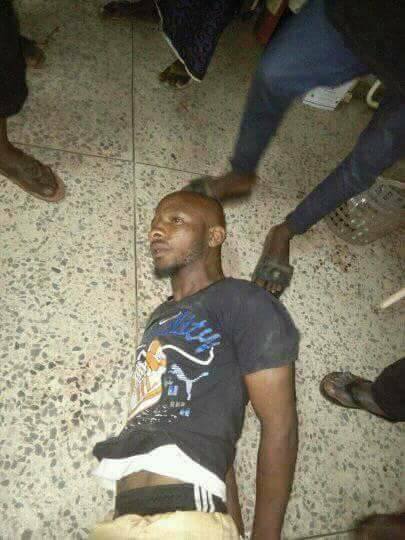 He was caught in the act and was overpowered by the hospital security who detained him before handing him over to the police.